Linksure, a Chinese company, is thinking about providing free Wi-Fi networks from space to earth. The company is sending its 10 satellites into space next year. With this technology, the Internet will also be accessible in areas where mobile network is not accessible. China's company LinkSure Network can soon start providing free Wi-Fi services to the whole world. The company has recently presented it to the world in front of the world with its satellite, which is sent to space. The Linksure Network says that their first satellite will be launched from the Jiuquan Satellite Launch Center in Gansu province of China next year, and plans to send 10 more satellites into space by the year 2020. It is being said that in the space of 2026, there will be 272 satellites of Linksure in the space that will work to provide free Wi-Fi network to the whole world. According to a report, more than 300 million people are still away from the Internet service. 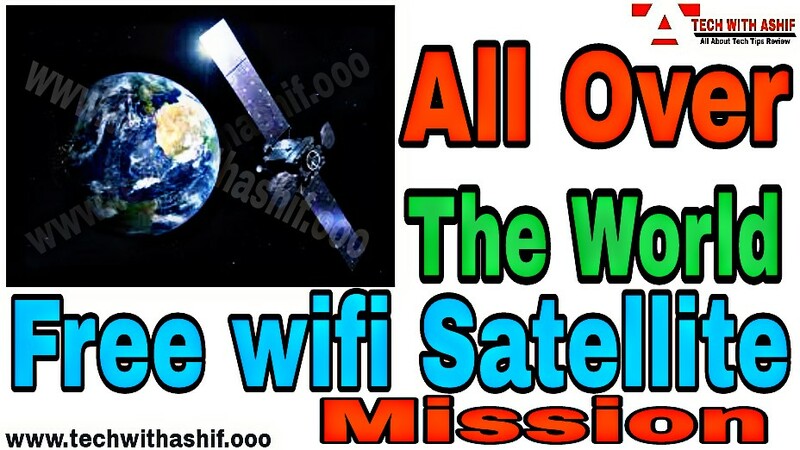 Let's say that this year SpaceX has got green signal for sending 7,000 Starlink satellites in space and Space X is going to send 1600 satellites sending space from Earth to the Internet in space in the coming years In addition to Space X, companies such as Google, OneWeb and Telesat are also preparing to implement such a plan and if everything is correct, then these companies' satellites and balloons will be able to fill the whole earth with high speed Wi- Wi-Fi service will be provided. Friends, free wifi service also in the whole world, how did you get this information and what do you think in this regard? Please type in comment and must subscribe to support us.